I love Zicam allergy relief. 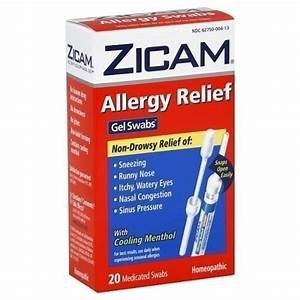 And recently I caught a cold and heard that Zicam cold remedy gel swabs where just as good as the allergy swabs. I will definitely buying a box of those cause if its anything like the allergy swabs, its a must have for me.